PoolStar's pool service area. | Henderson - Las Vegas Swimming Pool Cleaning Service Swimming pool services in the Las Vegas valley. 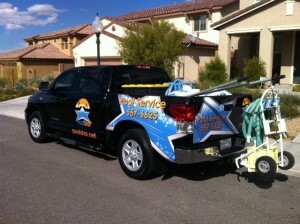 PoolStar services a large area of the Las Vegas valley and Henderson. See below the list of some of the communities that we serve and if you don’t see your area listed then please still feel free to contact us as we may be able to refer you to someone that does. Some of the services provided are weekly pool servicing, Acid washing, Green to cleans, Tile cleaning, Pool drain and refill, Pressure washing, Pool orientation, Filter tank cleaning the list goes on. We also work alongside a repair company licensed by the NV State Contractors Board. If it’s pool related we can help or refer you to someone who can! Use our “Contact” page above to get your pool cared for. This entry was tagged Henderson Pool Service, green pool, las vegas pool cleaning service, pool orientation. Bookmark the permalink. ← Swimming pool tile cleaning Las Vegas.